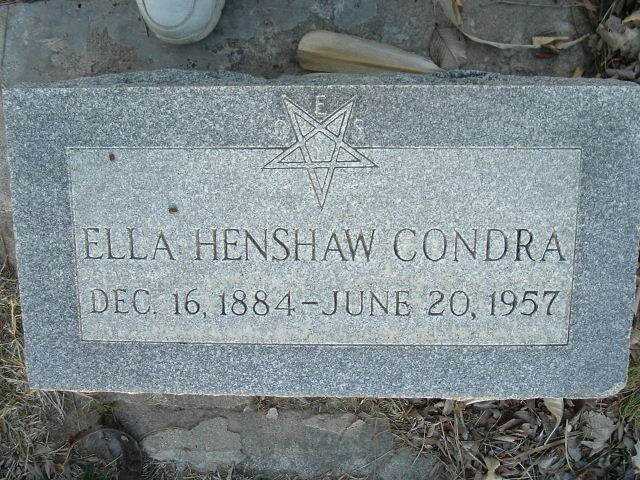 Born Dec 16 18841,2,3 [about 18904], Missouri1,2,3. She married Albert Condra1 [Albert Contra4]. 1900 census, Lincoln Township, Grant County, Kansas; roll T623-481, ED 353, page 1A, line #11, dwelling #3, family #3. 1920 census, Garden City, Finney County, Kansas; roll T625-532, ED 44, page 5B, line #71, dwelling #101, family #110.